Established in 1999 and with a registered capital of $ 1.4 million, Wuxi ABK Machinery Co.Ltd is a professional manufacturer of welding equipment and CNC cutting machines, such as wind tower welding line, H beam welding line, pipe welder, welding manipulator, welding positioner and so on..
Our products are mainly used for welding pipelines and special tools, and can also been applied to various plate cutting and many other pipeline technologies. All of our products have been in strict accordance with the relevant European standards. And our company has obtained ISO certification and all of our products have got CE certification. 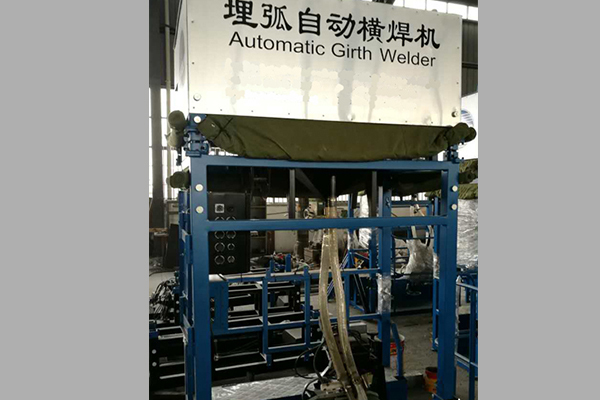 As a leading professional manufacturer of welding equipment and CNC cutting machines in China, we mainly provide our customers with wind tower welding line, H beam welding line, various welding equipment, pipe welder, CNC cutting machine, grinding machine, roll forming machine, and plate bending machine. With the pursuit for high quality, we have been strictly abiding by the ISO9001 standards, and we turn to mass production to reduce our products' costs. Besides, a good friendship with the shipping company can ensure us a reasonable and relatively lower transportation cost. We offer one-year warranty for all of our products, and during the warranty period, all the services are free. Besides, upon request OEM services are also available.